Handling Tips: 32-34 °F. Okay to ice. Keep moist. 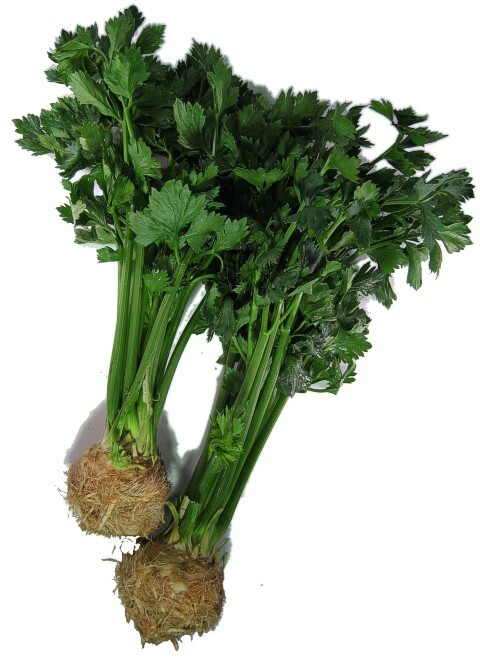 General Information: Although related to the celery often seen in our produce department this version of celery is grown for its root. The stalks can be added to soups and stews if a strong celery flavor is desired. The root may be peeled and used in salads (marinated, raw), soups and stuffings. Celery root can be made in to an unforgettable cream of celery soup. Celery root paired with potatoes in soup or au gratin is superb. A good source of potassium.